Never quit attitude earns Eagles Peewees a tie against visiting Alberni. Jan. 23, 2014 7:00 a.m. PORT HARDY—The North Island Eagles peewees faced off against the Port Alberni Bulldogs last weekend in the last game of the regular season. The locals played like it was their last game, period. A last-minute strike from Ryan Patterson made it 6-6 as the Eagles fought back from 5-3 down to earn a point. After doing the hard part and making it 5-5 with 3:43 left to play, the Eagles made the mistake of holding the puck too long in their own zone. A quick challenge from the visitors and a smart pass later the Eagles were behind again with less than three minutes on the clock. Having chased since the start of the second period, the home side was not about to go down without a fight. Eagles captain Clayton Bono’s pass from the right found Patterson on the near post. His tenacity under pressure found a way through the Alberni blockade and earned the equalizer. This time, the Eagles kept the pressure on in search of a winner but were happy to take the tie when the buzzer sounded. The home side had actually opened the scoring in the first period, Luke Gage converting a Bono assist. The visitors tied it up just before the break and struck twice in the second to make it 3-1 before the Eagles clawed one back, Avory Collins finding the net off a Devin White pass. The visitors got their buffer back just ahead of the ice-cleaning break, a solo strike from Carter Elder giving his side a 4-2 advantage to take into the locker room. In the second half the Eagles came back onto the ice with a vengeance, chasing the puck and pressuring every possession. It took five minutes for the reward to come, but when it did it came in style. On an extended Eagles forecheck Benton Browne kept the puck inside the blue line on the left. The defenseman faked a shot and skated past his man, then rounded three more opponents on his way to the right post before backhanding high to complete a stunning solo effort. A Bulldogs goal early in the third left the Eagles facing an uphill task at 5-3 down. At 5:22, White and Collins combined again to pull one back for the home side, White in the scoring column this time. With just 3:43 left the Eagles squared it up, Carson Strang firing home off a Patterson assist before the late see-saw scoring. The game was a preview of the opening round of the Tier 3 Vancouver Island North Division playoffs. The peewees travel to Port Alberni Feb. 2 to open the round-robin series against the Bulldogs, then return home to face Campbell River Feb. 8 at 1 p.m. in Port McNeill. 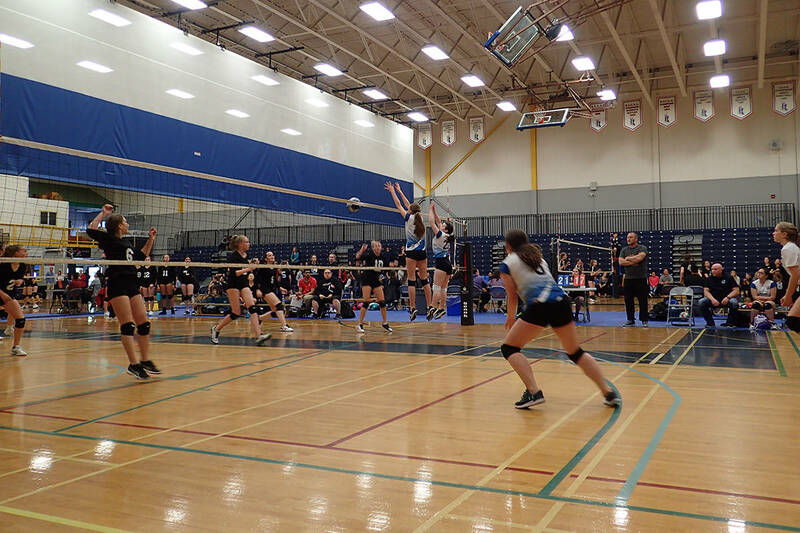 The top two finishers from the north will then face the top two from the South Island in the Tier 3 finals, which determine the Island’s representative to the provincial championships.